Yoga enthusiasts will tell you all about the benefits of their practice. It turns out there’s more than just anecdotal evidence that yoga is good for you. In fact, it can help people with a number of chronic conditions from heart disease to insomnia, from PCOS to depression. Read on to learn how yoga might help you remedy, or even prevent, some of the most common chronic conditions. Stress exacerbates depression and anxiety, so it makes sense that yoga can help manage both. Yoga has been shown to increase levels of gamma-aminobutyric acid (GABA) in the nervous system. GABA is a neurotransmitter that helps calm nervous activity in the brain, thereby helping to relax the brain and body. Yoga also serves as self-soothing technique like relaxation, socializing with friends or exercise, all of which have been shown to elevate people’s moods. Try it at home: To boost your mood and reduce anxiety, try lying in corpse pose with your left hand over your heart and your right hand over your belly. The American College of Rheumatology suggests physical activity as an essential treatment for both osteoarthritis and rheumatoid arthritis. Early studies into yoga for arthritis are promising and show that yoga helps improve joint health and physical mobility in addition to being great for your emotional wellbeing. Yoga classes are also a social experience, getting people who might be tempted to stay home when in pain out and about in the world, thereby boosting their emotional state. Try it at home: Tree pose can help improve the muscle tone of your legs and hips, giving your joints more support. If you do not suffer from neck pain, you might also find bridge pose helpful for relieving tension in the hips and spine. Yoga is a great alternative to certain physical activity if you experience exercise-induced asthma. There’s evidence that yoga helps improve lung function and reduces symptoms — which might be partially caused by stress — in people who have asthma. Most experts agree that poses that open the chest and throat will help with a variety of breathing problems. Try it at home: Corpse pose is a great way to calm your breath and may help improve asthma symptoms. Other poses like forward bend and butterfly are simple, non-stressful poses that may benefit people living with asthma. While there’s little evidence that yoga can help treat cancer, it can help ease the symptoms of treatment associated with cancer. A team at Ohio State University found that just three months of yoga lowered inflammation and reduced fatigue in breast cancer survivors. Each participant had finished all treatments for breast cancer before starting three months of formal yoga training. In small groups, twice a week, the women in the study learned and practiced yoga together. Three months after formal practice had ended, fatigue was 57-percent lower for the women who had practiced yoga, compared to the non-yoga control group. Their inflammation was also reduced by 20 percent. Try it at home: Go for a combination of cat pose and cow pose to keep your back flexible, or reclining butterfly pose to relieve shoulder and back pain — especially if you’re receiving treatment for breast cancer. Chronic obstructive pulmonary disease (COPD) is among the most common causes of death around the world, but yoga may help ease its symptoms and extend the lives of those with the condition. One study found that a 12-week Iyengar yoga program reduced distress related to shortness of breath (dyspnea) and improved patients’ functional abilities in everyday life. Another showed that patients’ anxiety and fatigue reduced with the use of an Iyengar program. Try it at home: Standing mountain pose or standing side bends may help open your chest and strengthen the diaphragm. 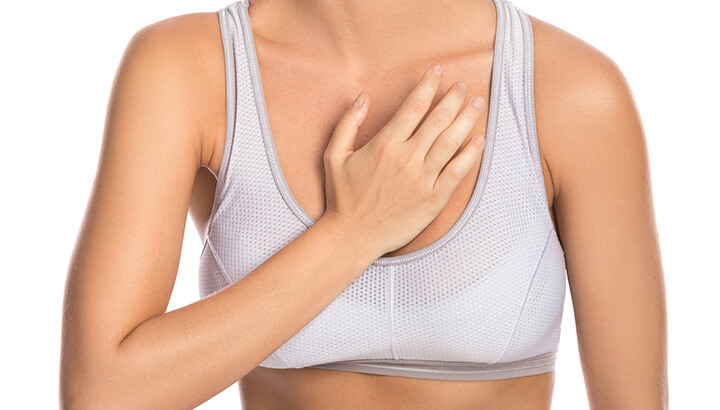 Be sure to avoid any poses that put pressure on your diaphragm and could inhibit breathing. Your yoga teacher can also help you find the best poses for you. When combined with other healthy lifestyle habits, yoga can help reduce symptoms for people with diabetes. Poses that boost blood flow to the pancreas — the organ that produces insulin and helps regulate blood sugar levels — are among the best for people with diabetes and even those who are pre-diabetic. Try it at home: Bow pose and cobra pose help open the chest and abdomen, and stimulate the pancreas. If you have good mobility in your neck and spine, give shoulder stand, spinal twist and wheel pose a try. As with any stress-relieving exercise, yoga is great for your heart. When compared to usual care for a heart condition, yoga improves one’s exercise capacity and health-related quality of life. Yoga can also help lower cholesterol levels and blood pressure. When combined with a healthy diet, yoga has also been shown to reduce how often people feel chest pain. Try it at home: Big toe pose, which involves bending at the waist and holding onto your big toes, helps to reduce anxiety and high blood pressure. Head-to-knee forward bend is another great yoga pose to help lower your stress levels. Instead of reaching for a medication to help ease indigestion or heartburn, try yoga. According to Zayna Gold, creator of Healing Through Movement and a long-time sufferer of Crohn’s disease, just 15 minutes is all you need. Gold suggests starting in a reclined pose and then moving to seated poses and then finally to standing positions. Try it at home: Among the best poses for indigestion are knees hugged to the chest and spinal twist. These poses help relieve bloating. They also massage the abdominal muscles that need relief when you’ve over-indulged at the dinner table. Drawing from a foundation of cognitive behavioral therapy (CBT), researchers at Baylor College of Medicine believe yoga is the “next wave” of therapeutic practices to help overcome insomnia. Viewed as a more holistic way to treat sleep conditions, yoga might help reduce the stress that prevents some people from sleeping. Try it at home: Easy, restorative poses like legs up the wall, corpse pose and child’s pose are simple enough for even beginners. And according to Vyda Beilkus, founder of Health Yoga Life, they can help improve your sleep. Polycystic ovary syndrome (PCOS) is a chronic condition and one of the most common hormone abnormalities in women of reproductive age. The good news is yoga might help ease the symptoms of PCOS, which can include painful or irregular menstrual cycles, ovarian cysts, and depression. A 2012 study from India found that yoga improved the quality of life for adolescent girls who live with PCOS. In fact, researchers found that one hour of yoga a day was even better for subjects than one hour of exercise a day. Try it at home: A series of sun salutations improves flexibility and helps improve hormonal balance. Give the series a try if you have been diagnosed with PCOS or suffer from similar symptoms. Have you tried yoga for a chronic condition?